"Mention Nashville and the first thing that enters most minds will be Country Music and the Grand Ole Opry. Then again, for true believers the city is also the nationâs centre for Bible publishing. 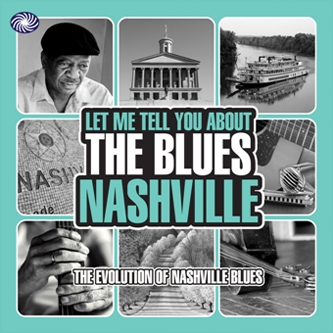 Perhaps less well-known but in striking contrast to God and double-knit suits is that throughout the late 1940s and 1950s, Nashville was also the home of a thriving blues and R&B recording industry. Principal among the labels were Bullet, Republic, Tennessee, Nashboro and Excello, with a welter of smaller ones such as World, Mecca, J-B and Cheker. Bullet, the creation of musician Wally Fowler, music publisher C.V. Hitchcock and deejay/artist manager Jim Bulliet (pronounced Boulay), dominated Nashville's recording scene in the immediate post-war years. Beginning with a country series in January 1946, it added a blues and R&B series three months later. The latter was launched with records by Wynonie Harris and G.I. Singsation Cecil Gant; Harris moved on but Gant became a prolific Bullet artist, soon joined by bluesmen Rudy Greene, Walter Davis, Max (Blues) Bailey and Rufus Thomas disguised as Mr Swing. Bullet was joined in 1951 by Republic, Tennessee and Nashboro, the latter run by Ernie Young, owner of Ernie's Record Mart. Tennessee's most popular artist was Christine Kittrell, a talented and powerful singer who never achieved nationwide fame, while Republic's Bernard Hardison cut the original version of 'Too Much', later made a hit by Elvis. Starting in August 1952, Excello soon swept its competition aside with a roster of artists that included Kid Kingâ's Combo, Shy Guy Douglas, Max Bailey, Arthur Gunter (Elvis commandeered '0Baby Let's Play House), Gunter's brother Little Al, Louis Brooks, Good Rockin' Sam, Louis Campbell, Clarence Samuels (with a manic Johnny Copeland on guitar) and Jerry McCain, alongside a host of less commercial but no less interesting talent like Slim Hunt, the Dixie Doodlers, the Leap Frogs, the Blue Flamers and the Blues Rockers. Excello would go on to even greater (and international) success when in 1956 Young started to release Louisianan J.D. Miller's swamp blues recordings by the likes of Lightnin Slim, Lonesome Sundown and Lazy Lester, but that's another story."